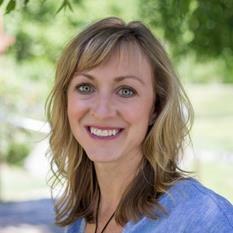 Jenny is a Licensed Marriage and Family Therapist. Since 2008 Jenny has been helping families and individuals suffering from the severe symptoms of trauma. She has also dedicated much time to developing and implementing relationship-based, trauma-informed programming for the young women at Solstice RTC and Solstice East. 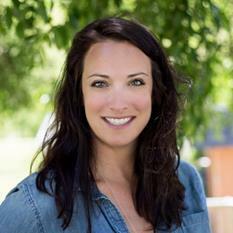 Jenny has specialized training in EMDR and Trauma-Focused Equine Assisted Psychotherapy. Areas of expertise include trauma, attachment, family systems, and a variety of women’s issues such as self-harm, body image, identity, and relationship issues. At the foundation of Jenny’s approach as a therapist are two beliefs: 1. Healthy relationships can facilitate healing and 2. Healing can facilitate healthy relationships. When not working, she can typically be found hiking, enjoying the mountains, or playing on her hobby farm with her beautiful children and wonderful husband. Georgia DeFrancia, a Colorado native, has been living in Western North Carolina for 10 years. 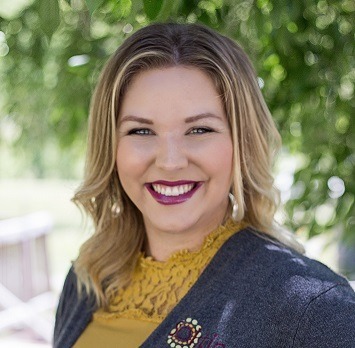 She received her Masters in Social Work from the University of Denver and has over 15 years of experience in the mental health field with a specific focus on children, adolescents and families in both out patient and residential settings. She has extensive experience working with anxiety, depression, trauma and emotion regulation disorders. Georgia is rostered as a Trauma Focused CBT clinician and is in the midst of becoming certified in EMDR (Eye Movement Desensitization and Reprocessing). In addition, Georgia incorporates equine assisted psychotherapy and Dialectical Behavior Therapy into her work. She truly believes that her clients have the wisdom and skills within them to overcome their struggles. Outside the office Georgia enjoys skiing, hiking and creating memories with her family. Kris originally went to college on a musical theater scholarship, planning to teach Secondary Theatre and English. While trying to find a teaching job, she found a job as a “Family Teacher”, where she started as a live-in house parent at a mental health facility; living with and helping ten teenage girls with her husband and children. She did this for 4 years and loved working with this population and getting to know this industry. She then moved on to working as an Admissions Counselor and Business Development representative for 2 years. Because of her connection with referral partners, love of travel, and passion for meeting new people, she moved into the Executive Director of Business Development at the Solstice Programs, being based out of Solstice East.. She has a deep passion and love for all people and enjoys being involved. Kris was awarded two Gold Presidential Service Awards for her work helping high school students find their passions, through the the Americorps Program. She also produced and developed a Diversity Education curriculum and presented it in elementary schools across Utah for two years. Kris is a founding member of the Southern Program Collaborative that includes all programs in the South Eastern region for NATSAP. Kris serves on the Evolving Women board as well, and enjoys spreading the message of empowering women. Kris is a mother of three girls and is grateful for her chance to learn and grow and take the knowledge she learns back to her own children. She loves being here at Solstice East and is grateful for the opportunity to see the amazing process our families go through. In her spare time, she enjoys photography, crafting, and spending time with her daughters, husband and dog. 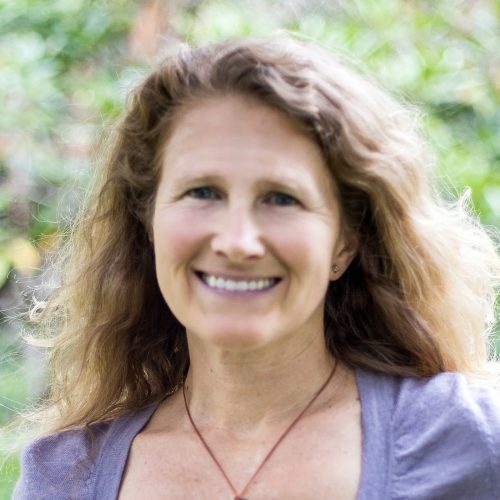 Ryn comes to Solstice East with twenty years of experience as a teacher and academic leader in therapeutic, public, and independent schools across the country. She received her B.A. in Psychology from Georgetown University and her M.S. in Educational Psychology from the University of Tennessee. Her passion for creating engaging, student-centered learning environments led to her role as the founding Academic Dean and Dean of Faculty at The Bay School of San Francisco, an innovative, college preparatory school in California. The core of her work as an educator has always been about empowering students and supporting them in becoming their best selves. This philosophy drew her to Solstice East and she is thrilled to be a part of this community. 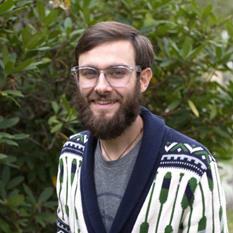 Dan is a graduate of Georgia College, where he earned a B.S. in Outdoor Education and Psychology. He has worked with two different organizations in North Carolina leading outdoor adventure trips and teaching primitive living skills for children of all ages. Most recently, he spent almost 2 years in Colorado doing lots of rock climbing and coordinating an adventure leadership program for local youth. Dan grew up playing sports of all sorts, including running cross country at the collegiate level. He has learned a lot of life skills through the use of sports and the outdoors and believes that both can be great mediums for helping youth develop strong values, build self-esteem, foster friendships, grow as young leaders, and engage in healthy lifestyles. 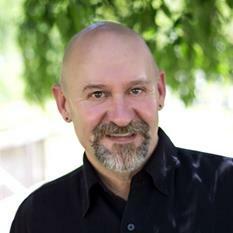 In his spare time, Dan enjoys rock climbing, whitewater paddling, mountain biking, running, and hiking. One of Dan’s favorite personal experiences was thru-hiking the entire Appalachian Trail in 2013. Dr. Tiffany Sauls is a child and adolescent psychiatrist with a focus on integrative approaches to diagnosis and treatment of adolescent mental health issues. Not only does she provide medication management, she also assesses for nutritional deficiencies, environmental toxins, and food sensitivities that can contribute to mental health problems. She approaches psychiatry from a holistic model, using medications sparingly and only after contributing factors have been addressed and corrected. Dr. Sauls is originally from Atlanta, Georgia and completed her undergraduate degree at Davidson College in North Carolina. She attended medical school at the Medical College of Georgia and completed residency in Pediatrics, Adult Psychiatry and Child/Adolescent Psychiatry at the University of Kentucky. She is board certified in Child/Adolescent Psychiatry, Adult Psychiatry and Integrative Medicine. Dr. Sauls worked in adolescent psychiatric residential treatment in Corvallis, Oregon for three years prior to moving to North Carolina in 2013. She lives in Asheville with her husband, two young children, and four animals. She enjoys spending time outdoors, hiking, biking, kayaking and picnicking. She is very excited to be a part of the outstanding team of mental health professionals at Solstice East. Dr. Rice is a board certified child & adolescent psychiatrist who completed her medical residency in psychiatry & medical fellowship in child & adolescent psychiatry at the Brody School of Medicine in East Carolina University. 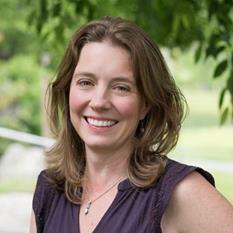 She has expertise in child & adolescent development & psychiatric disorders.Dr. Rice has been a licensed practitioner since 2006. She initially conducted her outpatient practice for 5 years in the San Francisco Bay Area. Since 2012, she has been treating children & adolescents in Western North Carolina. Dr. Rice strives to use a reasonable amount of medications that will enhance functioning while minimizing adverse effects. She collaborates with the therapeutic team & counsels her patients to utilize skills learned from therapy. Originally from Atlanta, Pennie came to the North Carolina mountains in 1999 because of its creative community and beautiful landscape. Pennie obtained a Bachelor’s degree in Fine Art from University of Georgia. 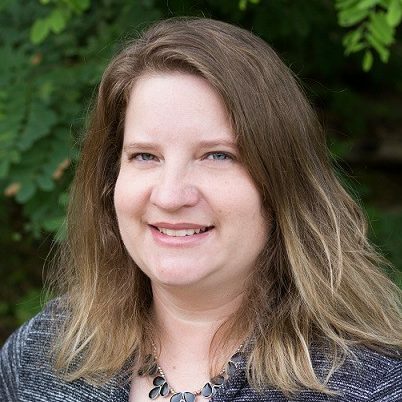 While living in Asheville, she has worked in various jobs such as office management, accounting and marketing in real estate and manufacturing companies. Living close by to the Solstice East campus, Pennie, her husband and young son enjoy the area. In fact, her husband grew up just down the road and they were married on our campus is 2001. Outside of work, Pennie spends her time working on art projects and home design. 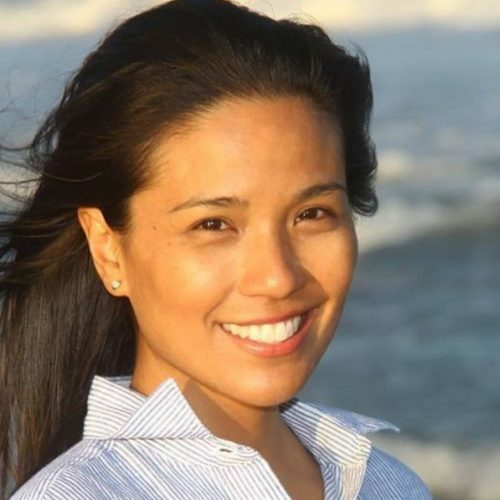 Especially interested in sustainably built homes, she has taken courses in drafting, CAD and green building practices. Jessica graduated with honors from Brevard College with her B.A. in English and an emphasis in secondary education. She is currently pursuing her M.Ed. in special education from Western Carolina University. 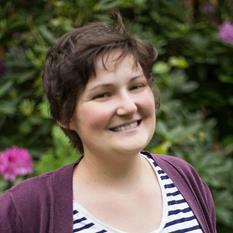 She has experience teaching in a therapeutic residential setting. This setting is where she fully realized her passion for teaching diverse learners. She has also worked for the Autism Society of Western North Carolina teaching community skills to children on the autism spectrum. When not teaching, she enjoys reading and collecting records.